Melissa Jensen is an award-winning writer of historical and contemporary fiction. Most recently, her Young Adult novels have been official selections on such lists as New York Public Library's Teen Reading and FYA. 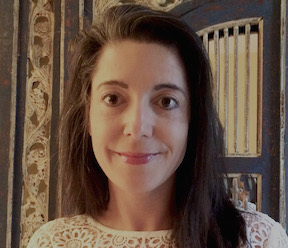 She is currently working on the fourth and final book in her Philadelphia novel series and a play centered around bog bodies and Irish rap music, as well as participating in an ongoing multi-media project exploring the connection between anthropology, archaeology, and literature. “Broken Siren”, a contemporary work for string ensemble and soprano based on Homer’s Odyssey, for which she wrote the libretto, will debut in 2020, followed by Carmilla from the Joseph Sheridan Le Fanu novella in 2021. She has contributed to numerous print media, including Philadelphia Style Magazine and the Philadelphia Inquirer. She currently divides her time between Philadelphia and Dublin, all the better to be immersed in the worlds of really really good fiction and poetry, and fascinating stuff unearthed from underground.